China's first indigenously designed aircraft carrier, temporarily named Type 001A CV-17, left its northeastern port of Dalian in northeast China's Liaoning Province for sea trials on Sunday (May 13, 2018), state media said. The vessel is the country's second aircraft carrier. The sea trials will mainly to "test the reliability and stability of its propulsion and other system," sources said. The carrier is still-unnamed, was launched in April 2017 but since then has been undergoing fitting of weapons and other systems and has not yet entered service. According to the state media service Xinhua, initial work on the vessel began in November 2013, and construction of its hull in a drydock began in March 2015. The Chinese government did not publicly confirm the ship's existence until construction was well underway. Satellite imagery for the defense analysis industry showed the aircraft carrier in the early stages of hull assembly by March 2015. Public photos of a hull with military characteristics at the Dalian shipyard surfaced on the internet the next month. 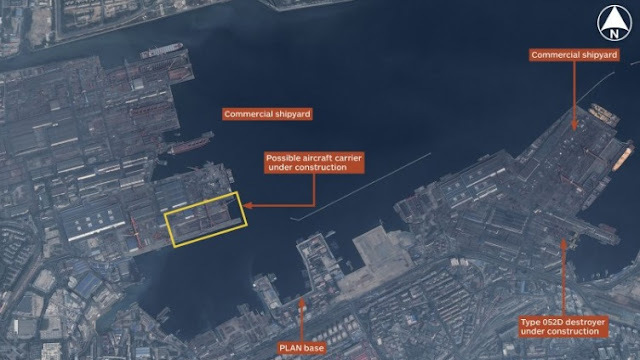 Image Attribute: Airbus Defence and Space imagery show an overview of Dalian shipyard in China. Source: CNES 2015, Distribution Airbus DS / 2015 IHS. 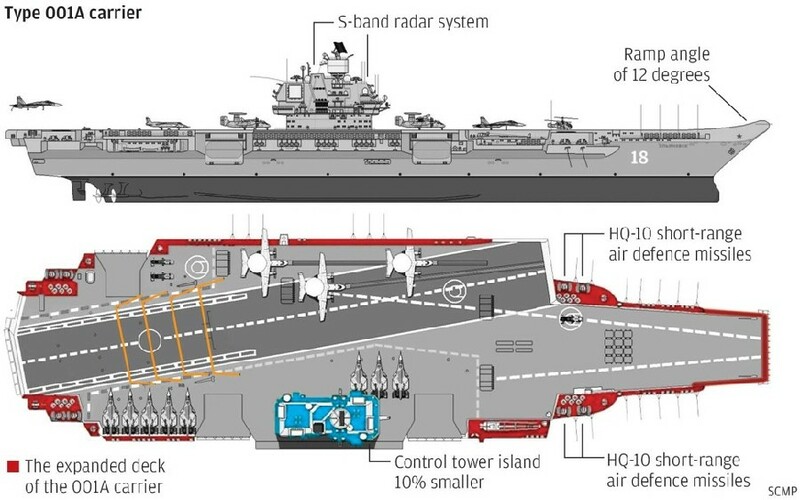 The new carrier is based on the former Soviet Union’s Kuznetsov class design, with a ski jump-style deck for taking off and a conventional oil-fueled steam turbine power plant. It is slightly modified and upgraded compared to Liaoning, with improved radar and increased storage capacity for ammunition and fuel, allowing it to carry more aircraft than Liaoning (estimated to be between 30 and 40 jets and helicopters). It measures about 315 meters (1,033 ft) long, with a displacement of about 55,000 tonnes (70,000 loaded). The ship is powered by conventional oil-fired boilers driving eight steam turbines derived from the Soviet-designed examples installed on Liaoning. 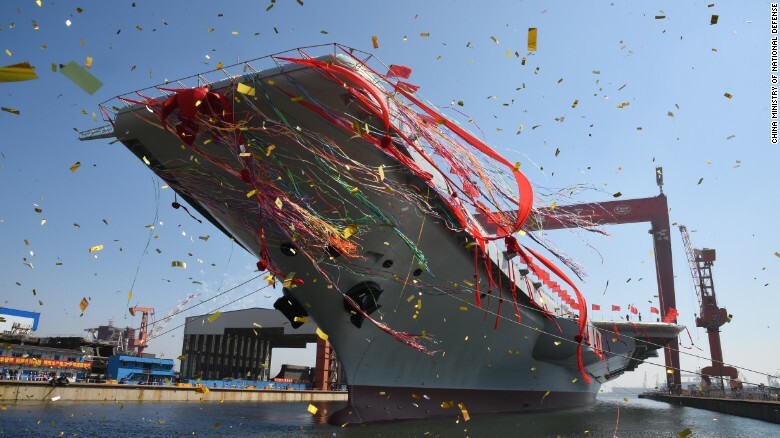 On August 4, 2018, Hu Wenming, General Director of Construction of the Aircraft Carrier, disclosed to state-owned China Central Television (CCTV), that a total of 412 state-owned enterprises, private enterprises, and scientific research institutions in China have contributed to its development, occupying 77.4 percent of the total, which indicates that its construction is the result of national collective efforts.